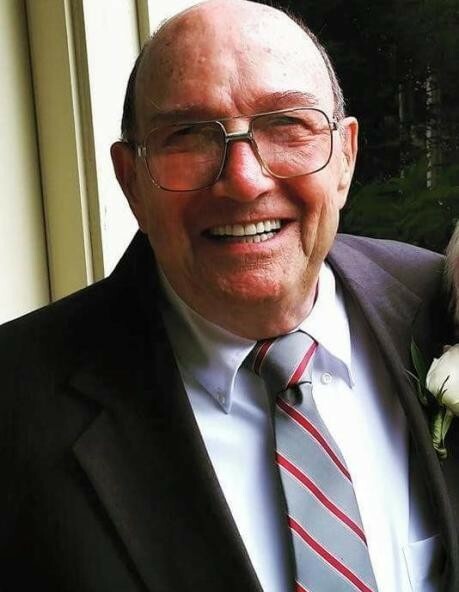 NASHUA - William L. Garneau, 85, died peacefully Thursday morning, March 28, 2019 at The Community Hospice House in Merrimack surrounded by his loving family. He is the beloved husband of Lorraine (Berube) Garneau. William was born in North Andover, MA on January 24, 1934 and was the son of the late Phillip Garneau and Lillian (Coutu) Garneau. He proudly served his country in the United States Army until he was honorably discharged in 1957. William was a Nashua Firefighter for 10 years and following that he was employed by Nashua Corporation as an electrician until his retirement. He spent his free time involved in his children's extracurricular activities. He helped with everything from his sons' boy scout activities to his daughters' time in the Suburanettes and CYO through the chruch. He also showed support as a pop warner football coach. He was an amazing dad and husband, always putting his family first. He will be deeply missed. In addition to his wife, he is survived by his six children, Debra Tong and her husband Alan of Loris, SC, Philip Garneau and his significant other Colleen Tyler of Hudson, Donna Bechard of Nashua, Mark Garneau of Nashua, Kenneth Garneau of Nashua, and Paula Belanger and her husband David of Nashua; his ten grandchildren, Joshua Tong and his significant other Crystal Smith, Kristen Tong, Aimee Mcue and her husband Chad, Jennifer Durkee and her husband Mike, Jessica Clark and her husband Michael, Katie Garneau, Adam Bechard and his wife Nicole, Johnathan Bechard, Corey Belanger and his fiancé Kaily Monroe and Ashley Dunn and her husband Drew. He is also survived by eight great-grandchildren and several nieces and nephews. William was predeceased by his 4 siblings as well as his son-in-law Marc Bechard. Relatives and friends are invited to William’s Funeral Mass on Tuesday, April 2nd at 10 AM in St. Louis de Gonzague Church, 48 W. Hollis Street, Nashua. Kindly meet at the church. Interment to follow in St. Louis Cemetery, Nashua.